4. Each good is carefuly checked and well packed before ship it, we promoise will be responsible for every order from us. if miss, broken, or mistake, we will be responsible for it. so please purchase the goods you like freely. 5. Any problem, when you get goods, please contact us, we will try best to fix the problem. Sincerely do bussiness for every buyer. 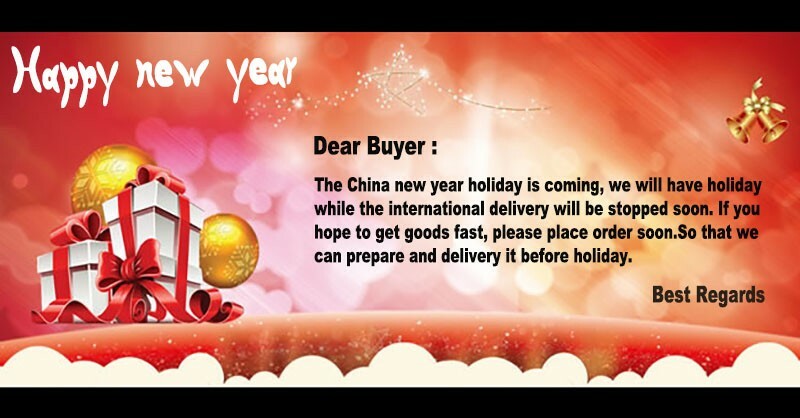 6.Any question on the goods or service, please write to us freely, we will response you fast. Wholesale order, please contact us directly.